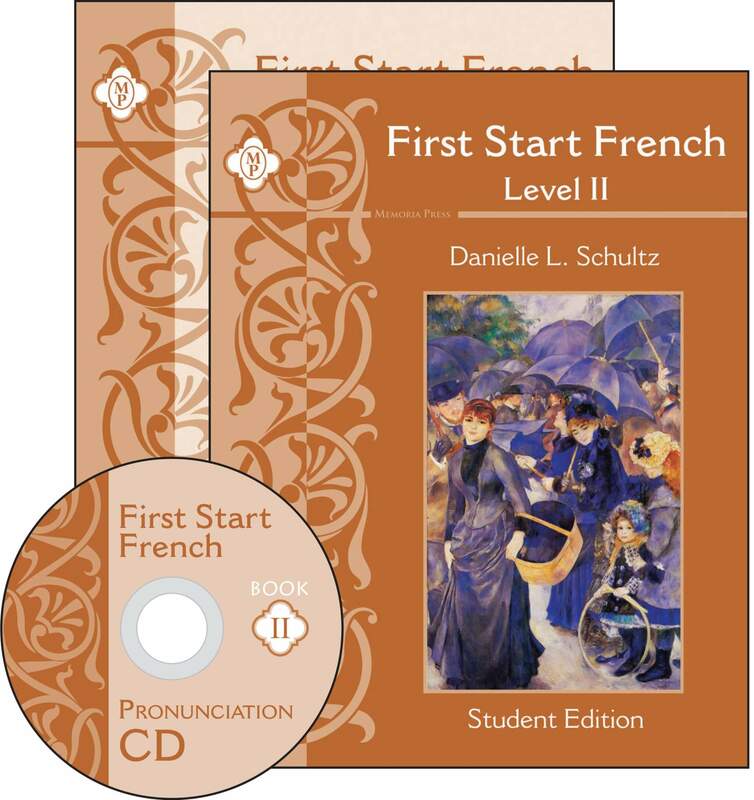 Continue your students' study of a beautiful language and a lifetime of benefits in the same easy format as First Start French I. Develop your students' vocabulary, strengthen their grammar, and expand their knowledge of the world. 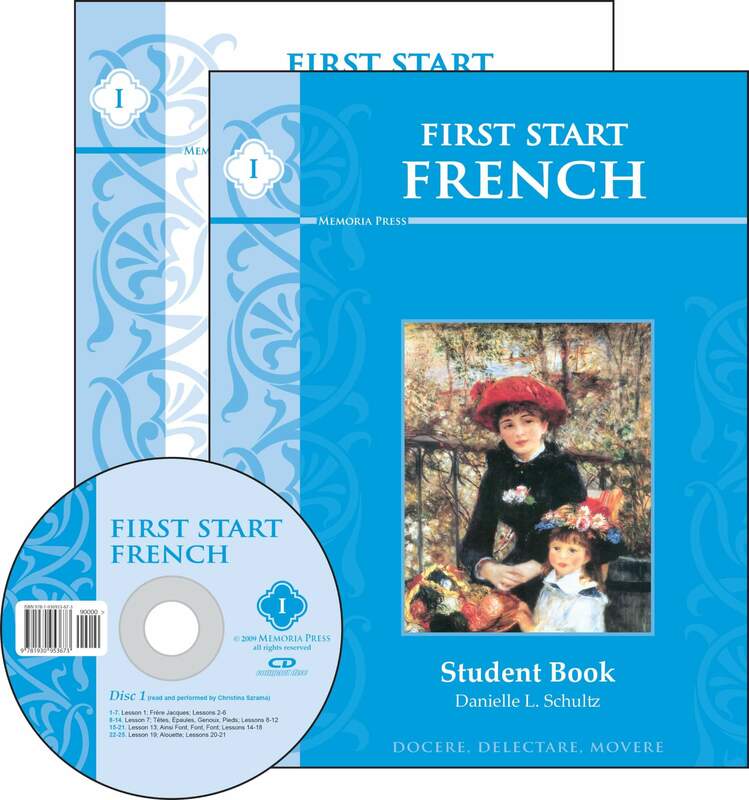 First Start French II builds on the skills you developed in First Start French I. More extensive vocabulary, expanded grammar, and further cultural information will move your student toward a great foundation in French. More practice in reading French will inform your students about important topics in French history, geography, science, and the arts. The Teacher Manual includes hints and guidelines to keep you ahead of your student. A pronunciation guide and CD will give your student the guidance needed to develop a good accent. Six fun, traditional French songs help with grammar and vocabulary. 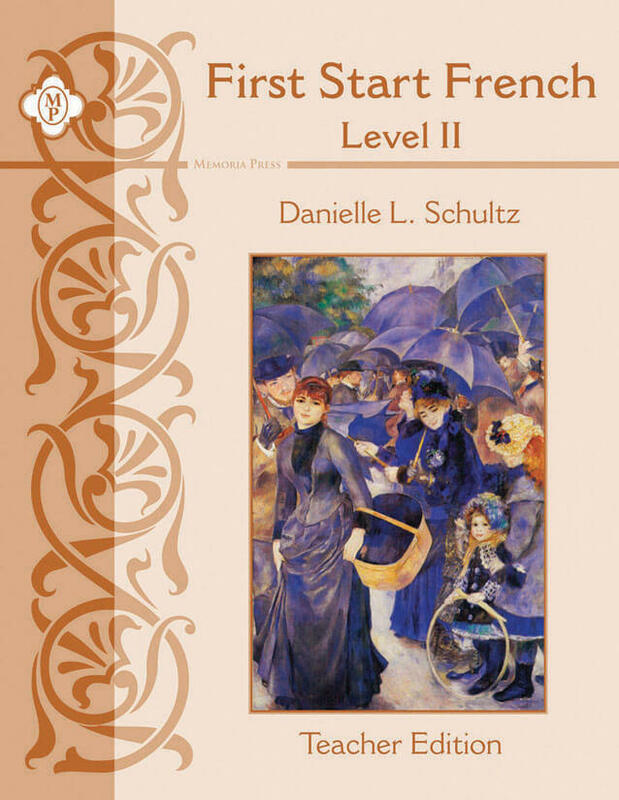 The First Start French II program picks up right where the first book left off. 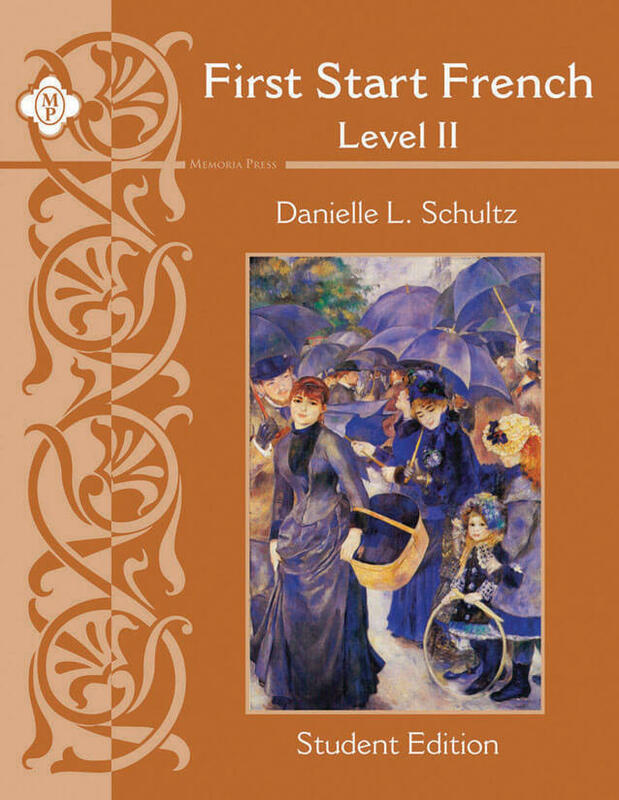 Continuing to be a perfect introduction to French for middle school students (grades 6-8). If you would like to add a modern language to your Latin studies, here’s the program for you. Modeled after the approachable Latina Christiana format, you will be able to teach your students the basics of grammar, help them develop a large vocabulary, and assist them in beginning to speak French. You will enjoy learning along with them as they practice conversation, reading, and translation, and are introduced to French culture. The Student Book introduces vocabulary, grammar, and translation, with practice exercises for every lesson. The Teacher Manual includes hints and guidelines to keep you ahead of your student. 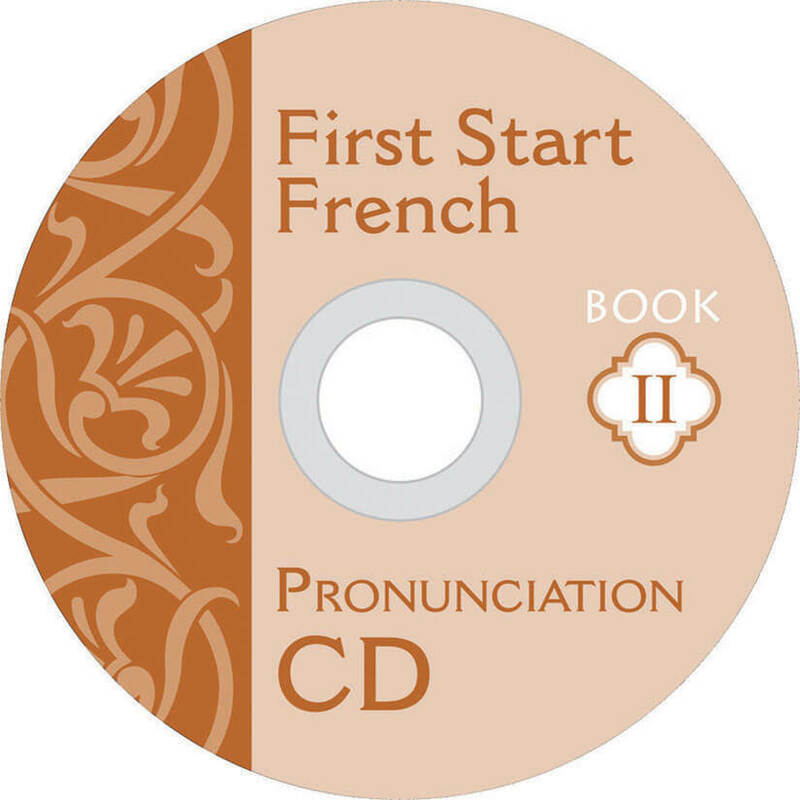 A pronunciation guide and CD will give your student the guidance needed to develop a good accent. Six fun, traditional French songs help with grammar and vocabulary.